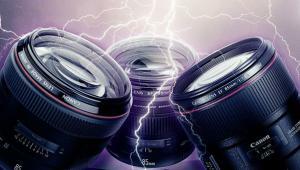 Over the past few years an amazing transformation has been taking place in photographic lens design. 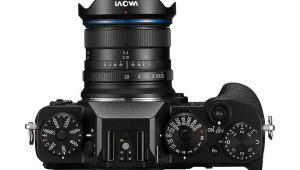 As a result, scores of innovative new interchangeable lenses have recently been announced by major camera manufacturers, and by optical specialty companies such as Sigma, Tamron, and Tokina. These groundbreaking designs span every interchangeable-lens camera category from mirrorless cameras to APS-C and full-frame DSLRs. And it’s an optical explosion that enhances the range of creative opportunities for photographers at all levels from casual shooters to pros. 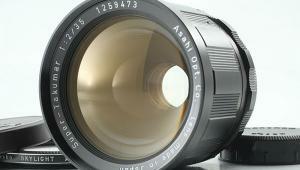 In assessing the latest crop of new lenses, several distinct trends emerge. As photographers become more sophisticated, creative expression and the esthetic quality of the image have become increasingly important, and this has resulted in a renewed interest in wide-aperture prime (single focal length) lenses that can create beautiful bokeh effects using limited depth of field at wide apertures in the f/1.2-f/2.8 range. Virtually every major lens manufacturer has jumped into the fray, and now offers an enticing assortment of high-speed primes ranging from fisheyes to wide-angles to long telephotos. Zoom ranges are also steadily increasing, and there are several enticing new ultra-long telephoto zooms and long-range wide-to-telephoto zooms that are wider at the wide end and provide unprecedented zoom ranges. 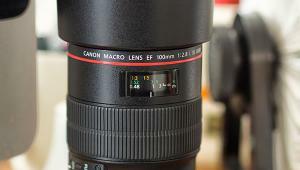 Other notable lens trends: an increasing number of sophisticated wide-angle zooms and ultra-high-performance lenses, often at premium prices, aimed at serious shooters, lenses with built-in ultra-quiet stepping motors for shooting video without focusing noise, and cool creative lens accessories that let you put the zone of sharpness exactly where you want it. 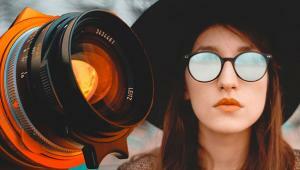 Here are our ten favorite new innovative lenses to help you capture strikingly beautiful images. 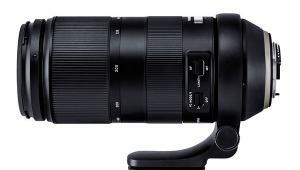 A recent addition to Sigma’s Art Line aimed at discriminating artist photographers, this high-speed full-frame wide-angle employs FLD and Special Low Dispersion elements as well as two aspheric elements to achieve outstanding image quality and even illumination across the field even at maximum aperture. Crafted of exotic materials including Thermally Stable Composite (TSC) to minimize performance variations due to temperature, it also employs a Hyper Sonic Motor (HSM) for enhanced AF performance and a bayonet mount constructed from brass for maximum accuracy and durability. 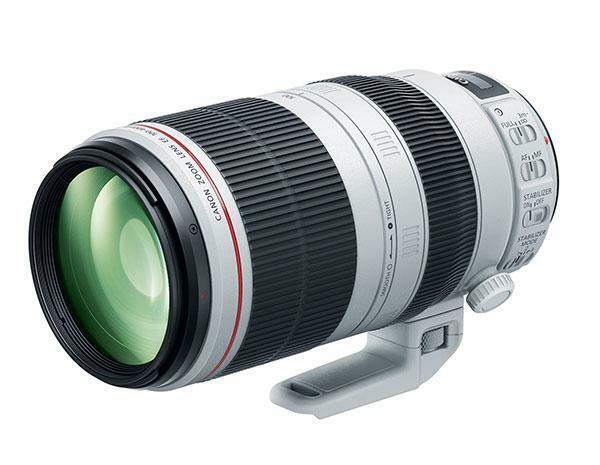 The lens focuses down to 9.8 inches for a maximum magnification ratio of 1:5.3. 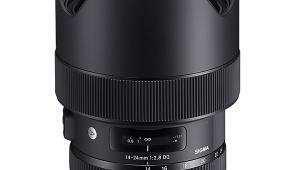 Check out our full review of the Sigma 24mm f/1.4 DG HSM Art Lens here. Lensbaby, a leading supplier of ingenious creative effects lenses, has just entered the trendy fast prime lens arena with the Velvet 56, a 56mm f/1.6 moderate telephoto lens designed for full-frame and APS-C-format DSLRs and mirrorless cameras. 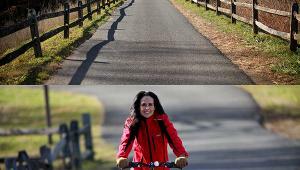 Described as a “new classic portrait lens that delivers a velvety, glowing, ethereal look” at its widest apertures and “sharp but subtly distinctive” images when stopped down” it employs a “unique singlet-doublet-singlet” optical design, focuses down to 5 inches from the front element (1:2 macro), and stops down to f/16. A metal lens hood is included for mirrorless versions only. The new lens, which measures 86mm long and 92mm in diameter (DSLR version) and 94mm long without hood (mirrorless version), and weighs 400g, is now on sale in Canon, Nikon, Sony A, and Pentax mounts, and is available now in mirrorless mounts including Micro Four Thirds, Sony E, Samsung NX, and Fuji X. 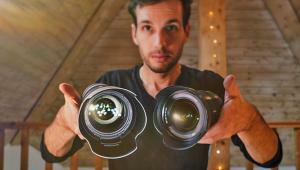 Check out our full review of the Lensbaby Velvet 56 56mm f/1.6 here. A pro caliber Canon L-series lens for full-frame Canons, it employs one fluorite and one super ED element to achieve outstanding correction over its entire focal-length range and Air Sphere and Fluorine Lens Coatings to maximize light transmission, minimize contamination, and facilitate lens cleaning. It uses an advanced mechanical design that includes a ring-type USM AF motor for the Internal Focus mechanism, a Rotating Zoom Ring and Torque Adjustment to enhance smooth seamless handling, a 9-bladed rounded diaphragm for smooth transitions to out-of-focus areas of the image, and rugged, weather-sealed construction. 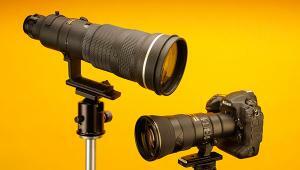 A detachable, rotatable tripod collar is included. The first 15-30mm ultra-wide-to wide-angle f/2.8 zoom for full-frame and APS-C-format Nikon, Canon, and Sony DSLRs, this groundbreaking lens employs XGM (molded glass aspheric) and LD glass elements to reduce chromatic aberrations and features Tamron’s proprietary tri-axial VC image stabilization system (except for the Sony-mount version), and an easy-to-clean fluorine coating on the front element. Ultrasonic Silent Drive (USD) is said to deliver precise AF, high torque, and fast response times. 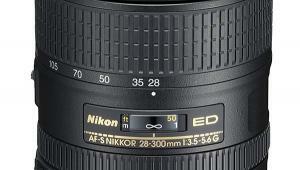 The lens also incorporates a rounded 9-blade diaphragm for enhanced bokeh, and has a built-in lens hood. It comes with a copy of SILKYPIX Developer Studio software. 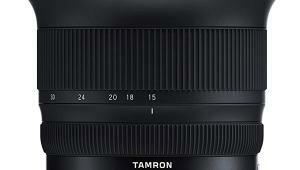 Check out our full review of the Tamron SP 15-30mm f/2.8 Di VC USD lens here. A versatile wide-angle zoom for APS-C-format DLRs, it covers an ultra-wide-to-wide 16.5-30mm-equivalent range and provides a constant f/2.8 maximum aperture throughout. It incorporates one P-MO hybrid aspheric element and two glass-molded aspheric elements to minimize distortion, three SD ultra-low-dispersion elements to reduce chromatic aberration, and multi-coating to enhance color accuracy and suppress flare. A one-touch focusing mechanism allows manual focus an anytime without switching, an internal focusing mechanism maintains the same length during focusing to enhance balance, and a 9-bladed diaphragm contributes to smooth transitions and beautiful bokeh. This lens provides a minimum focus distance of a tad over 11 inches and is available in Nikon F and Canon EF mounts. This fast new 137mm-equivalent f/2 lens for Fuji X-mount cameras is ideal for portraiture, capturing pictorial effects with shallow depth of field, and low light shooting. Its 11-element, 8-group design incorporates three Extra-Low-Dispersion elements and Super EBC coating on each element to improve sharpness and clarity, a 7-bladed diaphragm for enhanced bokeh, and a Quad Linear Autofocus Motor said to provide ultra-smooth, nearly silent AF for shooting stills and video. 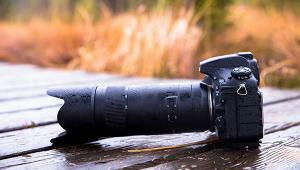 Other features: Weather-sealed construction and a close minimum focusing distance of two feet. Sony’s fast new pro-caliber wide-angle zoom for full-frame and APS-C format has a constant aperture of f/2.8 making it ideal for depth-of-field control and low light shooting. Its advanced design incorporates three glass aspheric elements plus ED and Super ED elements plus Carl Zeiss T* coatings and is designed to deliver outstanding image quality over its entire range. Its Super Sonic Wave Motor (SSM) achieves high torque at low speed for impressive responsiveness, and it has a 9-bladed diaphragm for smooth transitions and enhanced bokeh. A Focus Mode Switch and Focus Hold Button provide easy, intuitive control and there’s an Auto Clutch to prevent the manual focus ring from rotating in AF mode. This fast new high-performance wide-angle zoom for full-frame Nikon and Canon cameras is also available in Sigma SA mount. Claimed to be the first constant—f/2-aperture zoom in its class, it provides enhanced depth-of-field control. This Art-series lens incorporates one FLD and 7 Special Low Dispersion elements plus two aspheric elements to minimize spherical and axial chromatic aberration and field curvature to deliver exceptional image quality over its entire range. It also uses Super Multi Layer coating to reduce flare and ghosting and Thermally Stable Composite (TSC) components to ensure dimensional stability at all temperatures. Other features: Minimum focus distance of 11 inches, Hyper Sonic Motor, for fast, quiet AF, included lens hood with rubber connection. 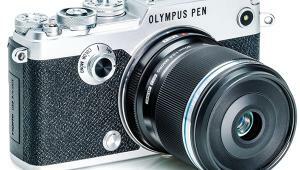 It covers a 36-52.5mm-equivalent range on APS-C-format cameras. A premium high-speed constant-f/2.8-aperture X-Mount zoom lens designed for Fuji’s iconic X-series mirrorless interchangeable-lens APS-C-format cameras, it provides an equivalent focal-length range of 24-82.5mm, and employs three ED and three aspheric elements plus Nano GI and HT-EBC lens coatings to deliver outstanding image quality and clarity. It also features a very fast internal focusing mechanism using two linear autofocus motors, and it is moisture resistant thanks to 14 weather seals used in its construction. This high-performance lens uses a rounded 9-blade diaphragm to enhance its smooth out-of-focus rendition for very pleasing bokeh. This ingenious wide-aperture full-frame fisheye lens provides 180-degree diagonal coverage on Micro Four Thirds System cameras and a 16mm-equivalent ultra-wide-angle focal length. It features apertures from f/1.8 for low light shooting to f/22 for super-extended depth of field, uses one aspheric, five ED, and three HR elements in its construction and employs a special ZERO anti-reflection coating, and a 7-blade diaphragm to enhance bokeh, Complementing its advanced specs is a high-speed Imager AF system said to deliver fast, smooth, quiet AF for stills and video. It also provides weather-resistant construction and a very close minimum focusing distance of 4.7 inches (0.4X maximum magnification). If that’s not enough innovative new glass to consider for your next purchase, here are three new lens “honorable mentions” that just missed our top ten. Designed for K-mount APS-C-format DSLRs, this recently announced lens delivers an impressive 14.5-130mm equivalent range and provides weather resistant (WR) construction. Quick-Shift focusing enables switching between AF and manual focus at any time, and the lens can focus down to 1.15 feet (0.26X) for extreme close-ups. HD and SP lens coatings enhance light transmission and clarity, a DC motor assures quick precise AF action, and a rounded 7-bladed diaphragm enhances bokeh. This fast, long-range zoom debuted with the top-of-the-line Samsung NX1 APS-X C-format mirrorless DSLR-style camera and it provides a 77-231mm focal-length range along with a constant f/2.8 maximum aperture. This impressive zoom employs four ED and one HXR element in its 20-element, 13-group formula to deliver outstanding correction, has built-in optical image stabilization, a super-precise stepping motor, and splash-proof, dustproof construction. It focuses down to 2.3 feet at all focal lengths and uses SHS (Samsung Hyper Shield) coating to protect the front element against dust, water, and fingerprints, and incorporates a Custom Range Focus Limiter for faster AF performance. Quite compact for a full-frame-format 10X wide-to telephoto zoom, this newly released E-mount long-ranger incorporates one ED and five aspheric elements for high-performance correction, along with a linear motor AF system for fast, precise AF. Other features: Built in Optical SteadyShot image stabilization, internal focus mechanism, traditional manual focus and zoom rings, dust and moisture-resistant constriction, and a circular 7-blade aperture for enhanced bokeh. This exciting new lens focuses down to 19.7 inches to provide an impressive maximum magnification of 0.27X and is 4.67 inches long. I think that technology is stifling our creativity. We are relying more heavily on technology as a tool for creativity and using our minds less. Isn't that what creativity is all about, using our minds to create or communicate what we are envisioning? I feel that the manufacturers are trying too hard to sell us the newest and bestest tool that will allow more people to be "creative".